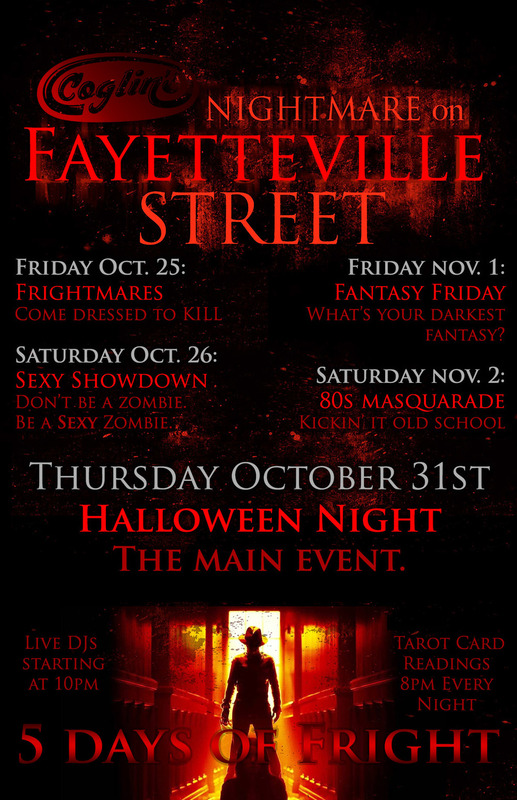 Join Coglin's Raleigh for 5 Days of Fright! Were doing halloween right! Saturday November 2nd is 80's Masquarade, kicking it old school! Psychics will be in the house all night beginning at 8 pm!